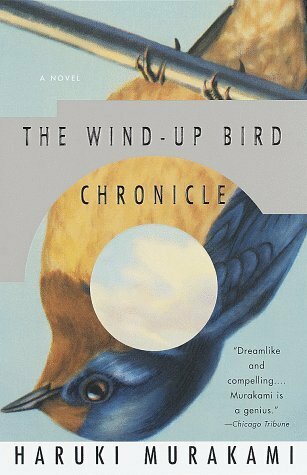 In response to this blog post that called Haruki Murakami's The Wind-Up Bird Chronicle overrated, I wrote the following: Trying to convince someone of the merits of a book they didn’t like is like trying to convince someone to like ballet or to believe in God. For what it’s worth, I think Wind-Up is a wonderful book, it was Murakami’s first time getting beyond his usual whimsical tales (Norwegian Wood the notable exception, in that it had more melancholy than whimsy ) and delving into something much deeper, exhibiting, for the first time, his ability to truly take on responsibility as an artist. In other words, this book is really saying something. But what is it saying? That’s the tricky part. What I would hate to read is that undergraduate second year essay on the merits of The Wind-Up Bird Chronicle. This essay exists, I’m sure. But I wouldn’t like it. And I’m not here to attempt it. I find Faulkner difficult. I don’t love Dickens. I I did not enjoy Infinite Jest and have yet to fall in love with the work of Zadie Smith. I know, however, that all these novelists have no small measure of merit. But just as that really nice person you work with and really do actually like but never somehow end up hanging out with outside of the office is a part of your reality, sometimes, even when we think we should, we just don’t connect with some people. Or certain books.